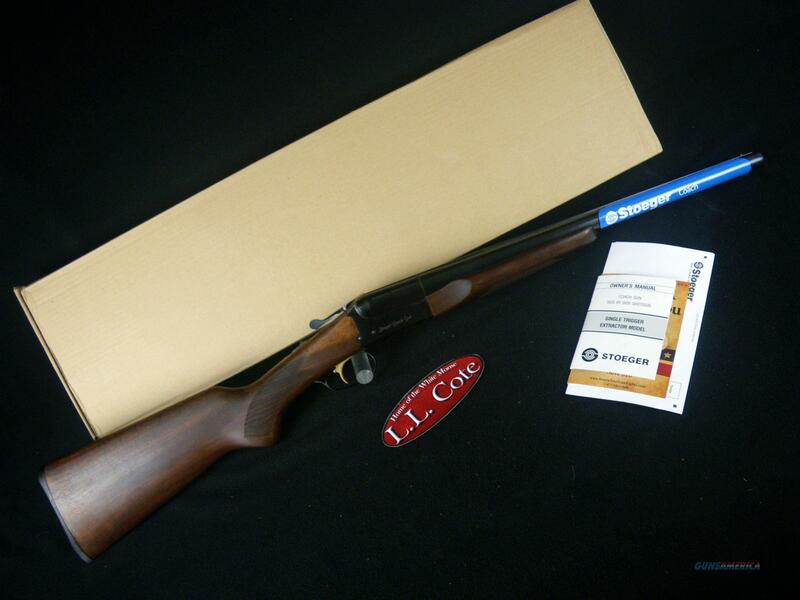 Description: You are bidding on a Stoeger Coach Gun in 12ga with a 20" barrel and 3” chamber. Stoeger Coach Guns single and double trigger shotguns are based on the Old West stagecoach guard’s shotgun of choice. The handsome and affordable single- and double-trigger scatterguns pack a potent punch. All of these coach guns are ideal for Cowboy Action shooting and home defense. Chambered for 2-3/4 and 3-inch shells. Traditional double triggers or fast-shooting single-trigger models. Make these classic stagecoach defense guns your go-to for competition shootouts or added security at home. Barrels are fixed choke IC and M. Displayed images are stock photos. Any questions please feel free to ask (our phone number is in the additional information tab above).